My data is still pretty limited, but in the last 44 times that we hit an R or S pivot number, we hit a second one 21 times. if you get a hold of daily VPOC data (RTH ONLY), please share it with me. and I don't think you should worry about posting your trades. If there is someone here who has never had a loser I can make one assumption... They haven't ever traded. with a 9 point loss you could take four trades and use a 2.25 point stop on each......I would try three times at each of YOUR predefined areas but no more. if you guys don't mind, i am going to start posting all my trades here.i have not been doing so because of fear of public embarrassment but i think that is exactly what i need. i am not disciplined with my stops and that has been burning me. maybe you guys commenting on it might knock some sense into me. 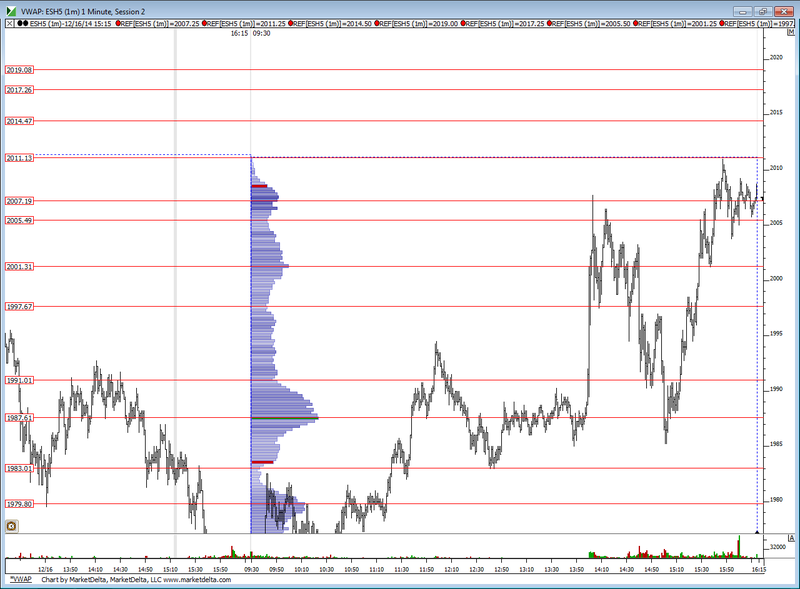 this AM in ETH i took a short at 30.5 thinking it was a LVN from 12/10 and 12/11 and was looking for the O/N singles at 23. Instead i held and held and finally stopped out at 39.5 to take a 9 point loss. i should have stopped myself out much sooner than that and taken the short that i had identified at 34.75 which was the POC from the past with an exit at 30.
i might have to wait till the end of the trading day to download the Dec 14 data..
Bruce, from what I understood from Dalton: "The market has to take care of current business first". Therefore I compare current day value to yesterday's value (and not the value of 12/11). So value being higher and no O/N inventory adjustment, kept me thinking long. 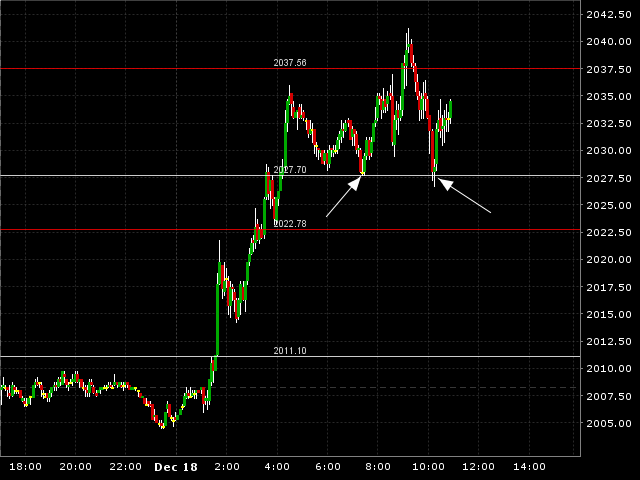 (My entry was near the O/N swinglow - see chart).